Reach hundreds as a participant or as a sponsor during our largest event of the year. More than 300 participants gathered in New Orleans for the 2017 NNPHI Annual conference to support and highlight the work of public health institutes and their partners across the United States. Like all of our convenings, the NNPHI Annual conference offers a complete learning experience that promotes collaboration and grows communities of practice that advance public health practice and improve population health. Your organization’s support is critical to the continued success of this gathering of passionate public health professionals. Learn more about our conference participants and sponsorship opportunities below. 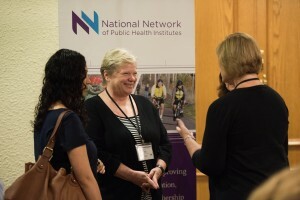 NNPHI Annual conference participants include leaders and senior staff of public health institutes and public health training centers from across the United States, representing a combined workforce of more than 4,500 subject matter experts and annual budgets totaling over $1.5 billion. Additional conference participants come from a cross-section of sectors and disciplines within the public health system; they include local, state and federal health officials as well as staff members representing national partners and trade organizations, foundations, and community organizations. This principal sponsorship offers ONE organization the opportunity to promote their organization throughout Conference as outlined below. Take advantage of this new offering as our #1 PREMIER SPONSOR!! This “high visibility” sponsorship offers FOUR companies the opportunity to promote their Organization at the Conference as outlined below. 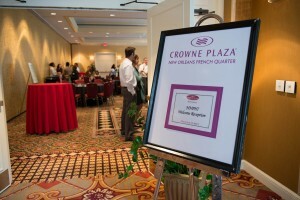 Take advantage of this valuable sponsorship to promote your Organization outside of the Sponsor Exhibit Space hours. This key sponsorship offers FIVE companies the opportunity to promote their organization at the Conference as outlined below. Take advantage of this valuable sponsorship to promote your organization outside of the Sponsor Exhibit Space hours. This affordable sponsorship offers EIGHT companies the opportunity to promote their organization at the Conference as outlined below. Take advantage of this valuable sponsorship to promote your organization outside of the Sponsor Exhibit Space hours. WATER BUBBLE | Sponsorships – New! Show your corporate responsibility by sponsoring this sustainability alternative to plastic water bottles! CHARGING STATION | Sponsorship – New!